Pintu Kumar Singh is a 20 year old boy who is doing graduation from a village near Giridih Town of Jharkhand state. He belongs from a farming family and their livelihood is completely dependent on agriculture. He has been helping his father in farming from his teen age. 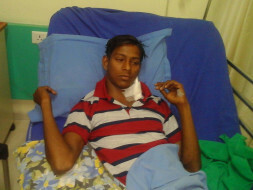 On 30th Mar he suffered severe stomach pain. His elder brother took him and rushed to nearest hospital in Hazaribagh, But situation was more severe so doctor referred him to Medica Hospital in Ranchi. Test Results stated that his both kidneys are non functional and needs to be transplanted as soon as possible. 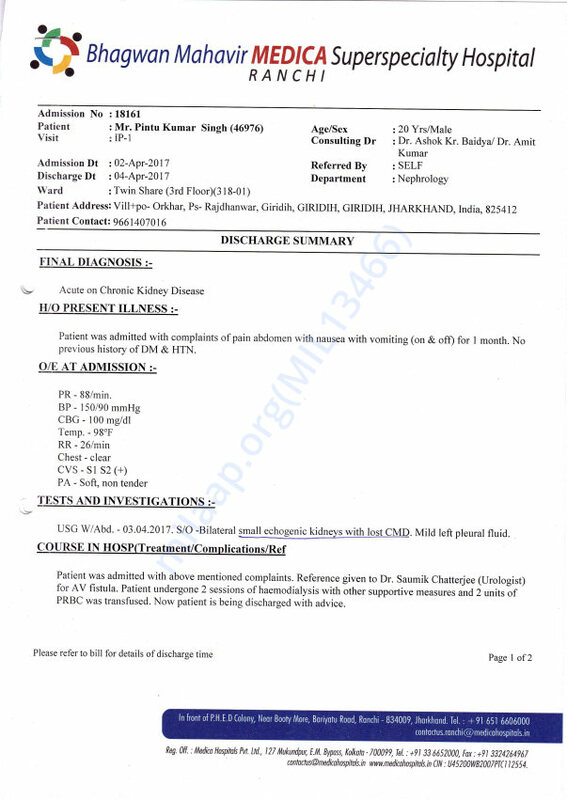 For second opinion his family took him to CMC hospital Vellore(dept of Nephrology) where test results were same and the only solution is kidney transplant. His mother will donate her one kidney to her son. 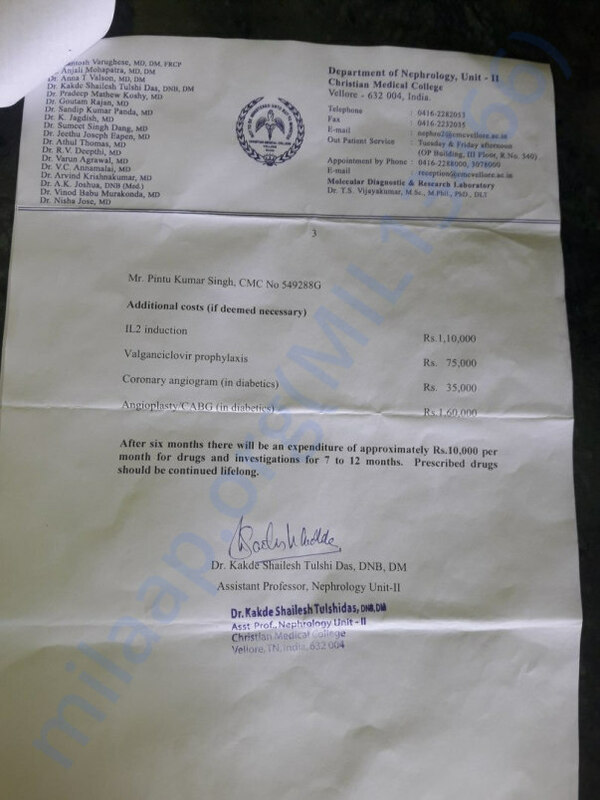 Till now 12 lakhs has been spent on his treatment and the family has exhausted all their savings and resources. The Kidney transplant surgery will undergo within 10 to 15 days , currently he is on dialysis. This young man has to explore life ahead and his family need help to fight this situation. Help them fight with unexpected medical costs. The smallest of donation towards this family would mean a lot to them. This is the only hope. Please be kind and generous enough to lend a helping hand. 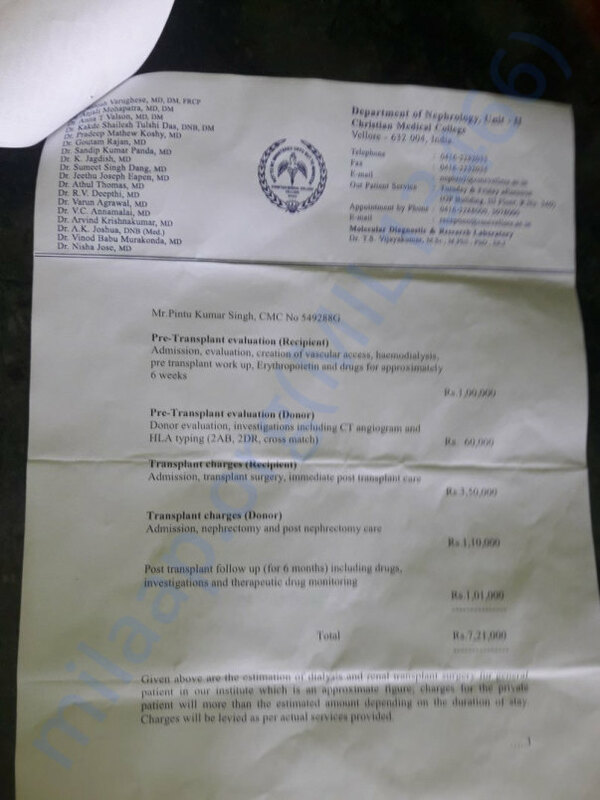 Surgery is still have to wait as during further test of donor (Pintu's Mother) , doctors found stone (14mm) in the kidney and Pintu's mother is under treatment . His father is not able to donate due to obesity. Pintu is on dialysis. Once Pintu's Mother will be fine, Doctors will do transplant Surgery asap. Please Pray and support. Will keep posted further. Thanks everyone for the help and support. Apologies for delay in update. Surgery will undergo in next week as there are many protocols from which one have to clear for Kidney transplant. 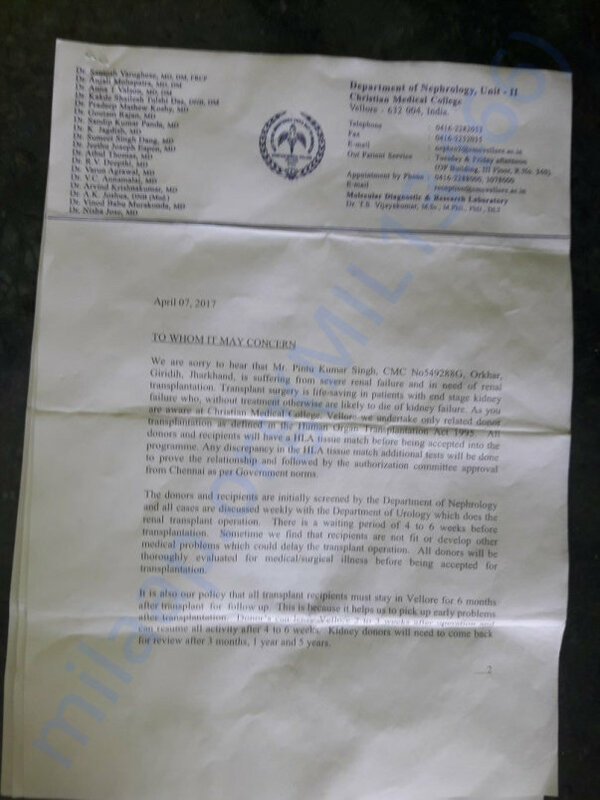 For this Surgery,One have to get No Objection Certificate from State Govt and Block Division and we all know How fast is our govt. All the Medical test of the donor (Pintu's Mother) is positive and Surgery will undergo in next week. Please Help and share . Thanks a lot to all who have prayed and supported Pintu. Pintu is under observation, as his Blood pressure is not normal and hemoglobin count is low, the major surgery has to wait till the conditions improves. Currently he is on dialysis (thrice a week). Please pray and support. Will keep you all posted further. May god cure him quickly! I am also not in good condition Mintu bhai. I did as per my capabilities.